As we look to the future of Casey Family Programs, hope remains our cornerstone. We know that anything is possible when we foster hope — in the children and families we serve, in the jurisdictions we work with, and in the communities where we partner. Welcome to Casey Family Programs’ 2017 signature report, which explores the evolution of hope that is transforming the way our nation supports our children and families. Since Jim Casey founded Casey Family Programs in 1966, we’ve worked to fulfill his vision that every child have a safe, stable and permanent family. Over the decades, a growing body of knowledge and experience — from insights on brain science and the role of data to the power of cross-sector partnerships — has fueled an evolution in how we think about ensuring the safety and success of every child. The stories you’re about to read are a powerful testament to the promise that this evolution of hope holds. To be certain, communities all across the country face challenges in many forms, from parents struggling with drug addiction to families working to find their footing in ZIP codes where opportunities to achieve their full potential are too few. We are at a critical point in truly considering what the future will offer our next generation. It’s time to transform our nation’s outdated approach to child welfare. We must continue to evolve from an approach that seeks to “rescue” children from their families to one that invests in supporting families before abuse and neglect occur. I invite you to spend some time with this report, learning about the bold, innovative ways that communities are working together to support children and families and measurably improve their lives. And I encourage you to seriously consider the call to action our president and CEO offers about specific ways that you can make a difference and help build a Community of Hope. As Jim Casey reminded us, deciding the kind of future we want for children and families is up to us. I couldn’t be more excited to be part of this journey. Every child in America deserves a Community of Hope. A Community of Hope is a powerful place. It is a place where residents raise their hands and say, “I will stand with you and be the hope that you need to reach your dreams.” It is a place where businesses see beyond the bottom line to the promise and potential in every young person and family that walks through their doors. It is a place where people recognize that every family, no matter the conditions they live in, wants the absolute best futures for their children. It is a place where government is a partner with the community in providing the support and services that can change a life. Hope is a place where every child wakes up knowing that they aren’t invisible, that someone sees in them the potential to achieve their dreams. The way we help build a Community of Hope is evolving. We can see the evolution taking place in cities like Gainesville, Florida, and small towns like Paintsville, Kentucky, and in many more communities across America that are demonstrating how to improve the safety and success of our children and families. Hope is evolving when children we’ve helped are able to safely return to their families. Hope is evolving for parents who are determined to find a way to overcome drug addiction. And hope is evolving when there is a caring adult for every child who is still waiting for somebody in their hour of need. I’m encouraged by the individuals and communities who are working together, across all sectors, in partnership with each other, to make hope a reality for every child. Even their presence at the planning table for their community’s efforts is making a difference, because it has an overwhelming impact on what plans get made at that table. A decade ago, Casey Family Programs kicked off 2020: Building Communities of Hope. It remains our framework for safely reducing the need for foster care by 50 percent by the year 2020 and improving the educational, employment and mental well-being of young people. As we stand here today on the doorsteps of our foundation’s next 50 years, these bold goals seem more urgent than ever. This year, as we presented our annual Casey Excellence for Children Awards to people making an extraordinary difference in the lives of others, I saw the miracle that happens when business leaders decide to get involved in the business of creating opportunities for people to change their lives. So I am asking you to take your own bold step to help America’s children and families. No matter how large or how small, whatever you do to take action — whatever planning table you can join — will contribute to our nation’s ability to build hope for generations of children to come. Mentor a youth who is in foster care. Share your life experiences with that young person. Share your innovation, expertise and influence with community organizations. Help them to increase their impact. Donate to an organization that supports vulnerable children and families in your community. Align your company’s policies to support families, including foster and adoptive parents. Join the community conversation on behalf of kids. These are just a few ideas to spark your thinking. You undoubtedly have more. I encourage you to look in the mirror and remind yourself, every single day, that hope happens there, inside of you. Because when you have hope inside of you, you can be the hope that helps others to achieve their dreams. Together we can make America a safer and more hopeful place for all of our children. 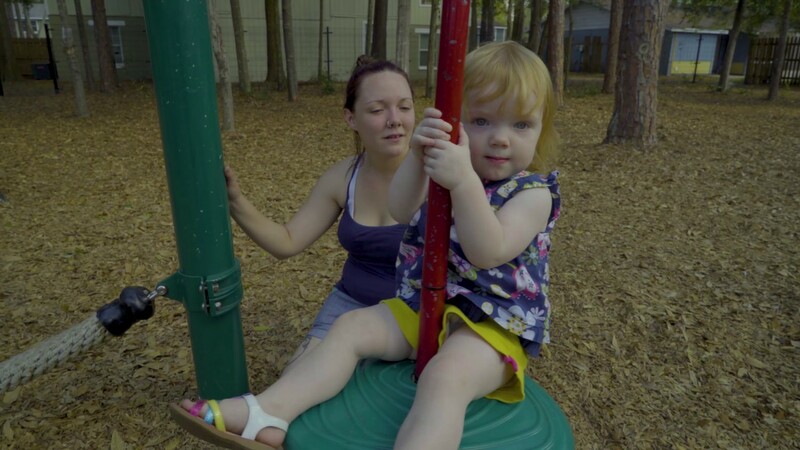 Families find support services – and room to play – at library-based resource centers in Gainesville, Florida. Communities across America are rethinking how they can keep children safe and provide the bedrock of support that every child needs to achieve his or her dreams — a strong and loving family. For decades, communities have relied on foster care as the primary way to protect children from harm. Originally designed to protect children from severe abuse, foster care was never intended to be used widely or for long. Yet today, more than 400,000 children in America live in foster care. By witnessing the lifelong trauma that can occur when a child is maltreated and then removed from his or her family, and by considering other possible interventions, some communities have begun creating more effective ways to support their children. In this report, you will learn about two fiercely determined communities — Gainesville, Florida, and Johnson County, Kentucky — that are building Communities of Hope and paving the way for others. It’s Tuesday morning, and the lobby of the Library Partnership is filling up — but not with patrons eager to check out books. These northeast Gainesville residents are waiting to see the health care providers who come each week with the Mobile Outreach Clinic. Also in the crowded entryway: A table with Red Cross volunteers offering information. A basket of free sweaters for the unusually chilly morning. A bulletin board with job postings. And a whiteboard listing opportunities for the day written in marker: preschool story time at 10:30 a.m., homework help at 2:30 p.m. and a beading class for youth at 3:30 p.m. The numerous free offerings — shaped by neighborhood residents themselves — are available at the combined one-stop shop of community resources and services, all housed within this Alachua County library branch. The Library Partnership is one of three community resource centers serving at-risk communities in Gainesville. Each center offers support and preventive services, such as food and clothing banks, parenting classes and job-readiness training, tailored to residents in areas that historically have had high rates of verified child abuse and neglect. Together, the resource centers are changing lives. Data from 2009 to 2015 show a decrease of 44 to 58 percent in verified maltreatment in the communities they serve. To fully appreciate the innovation unfolding in Gainesville, it helps to understand the roots of America’s child welfare system. Today’s system reflects the social and cultural forces that have shaped our country — and our attitudes about children’s place in society — over the past two centuries. At the core of the government’s involvement is a longstanding goal of preventing child deaths and serious abuse among the most at-risk children in our population. In the 1800s and early 1900s, some philanthropic and religious organizations pushed to “rescue” children from families deemed morally unfit, a definition that shifted over time and included American Indians and new immigrants, especially poor families. By the mid-20th century, the focus on the so-called “unsuitable home” shifted to a focus on the “unfit parent” — driven in large part by a desire to prevent financial support from going to unwed mothers or parents of color. By deciding to support children but not their parents, the nation adopted a philosophy that equated child safety with removing the child from his or her family. In the 1970s and 1980s, child welfare agencies transformed from foster care agencies to child protective services agencies. They often used foster care as a primary intervention, even in cases where children could be kept safely at home if family challenges were addressed. Today’s child welfare systems handle millions of referrals each year involving neglect. Roughly 84 percent of the children who enter foster care do so because of neglect and other causes, not abuse. Still, most federal funding for child welfare can only be used for foster care. But we know far more today than we did in past decades. For example, we know that waiting until maltreatment occurs exposes children to ongoing toxic stress and adverse childhood experiences (ACEs) that have been shown to have lifelong consequences, including poor physical and mental health and diminished life outcomes. We know that preventive, supportive services can help parents suspected of neglect better care for their children. And we know that interventions can be more successful when offered at the first signs of trouble; we don’t need to wait until a family meets a legal threshold of demonstrable harm before providing significant support. Most Americans understand the importance of keeping children safe from harm and helping them avoid toxic stress during their formative years. Yet the financial structures that fund our child welfare programs still reflect the outdated child rescue mentality. They haven’t fundamentally changed over the past 50 years. The federal government provides about $4.8 billion a year under Title IV-E of the Social Security Act to maintain children in foster care. By comparison, about $652 million a year is available under Title IV-B to be invested in practices and interventions aimed at strengthening families and keeping children at home when safely possible. That means that, for every $7 available for children in foster care, only $1 is available to invest in preventive services. Florida is one of 26 states with a waiver for its Title IV-E funds that provides flexibility in how that money is spent, allowing the state to work with its 18 community-based care agencies to offer prevention services. It was among the first states to take advantage of the waiver, and over the past decade it has placed thousands fewer children in foster care and seen a drop in verified reports of maltreatment. Our nation must reform our approach to federal child welfare funding to allow states to more easily adopt and invest in evidence-based and evidence-informed services that provide holistic, preventive support to children and families. Foster care should be an intervention of last resort. “I can tell you from being in child welfare now for almost 20 years, I think we do more harm to most children by taking them away from their families than we do by working with them,” says Stephen Pennypacker, president and CEO of PSF. Some leaders in the child welfare field have encouraged the use of a public health approach to child welfare. But what does this really mean? Public health programs keep their communities safe from disease and other health risks by focusing on prevention at the population level. They methodically define and monitor health challenges, identify risk and protective factors, develop and test prevention strategies and, finally, work to encourage widespread adoption of effective strategies. Rather than focusing on treating individuals or targeting interventions in a punitive way, the public health model works across the population to look at, and to shape, patterns across an entire community. A similar approach could help keep children safe from maltreatment. It would start with an accurate assessment of the problem — which might even be visible on a map. In Gainesville, Partnership for Strong Families (PSF) used “heat maps” created by the Alachua County Sheriff’s Department and the University of Florida to identify the areas of greatest need. Not long after she started the job in 2006, Alachua County Sheriff Sadie Darnell discovered one of her staff members was running an unlicensed daycare in a converted apartment. “It was well-intentioned,” Darnell says, because the children previously had been unsupervised, but she had to shut it down. That outraged the community, and a petition circulated to oust her. So the department started going door to door in the high-crime neighborhood, asking residents what was important to them. Crime, transportation and medical care were high on the list. “We started looking at crimes on a thermal map,” the sheriff says. At the same time, Dr. Nancy Hardt at the University of Florida was making her own heat map, looking at Medicaid births and other health issues. When they compared maps, their “hotspots” were on top of each other. “It was an ‘aha’ moment,” says Darnell, who speaks knowledgeably about the effects of trauma on children’s behavior and poor life outcomes. That’s when the doctor and law enforcement teamed up with community members to form Southwest Advocacy Group on the southwest edge of Gainesville. PSF used those heat maps and looked at Gainesville neighborhoods with the highest rates of children being removed from their homes due to abuse or neglect, and that’s where they launched resource centers. Population-level data, such as those illustrated by heat maps, can reveal patterns in conditions or places. The next step is to emphasize preventing future harm, rather than just responding to it. Children in the resource centers’ Courageous Kids program learn about positive relationships with peers and how to resolve conflict. Supporting families in Gainesville takes many forms, including a mobile health clinic. Supporting families in Gainesville takes many forms, including homework help. Some 700 miles northwest of Gainesville, in a rural county of 23,000 in the heart of Appalachia, is another community working to build hope for its children and families. 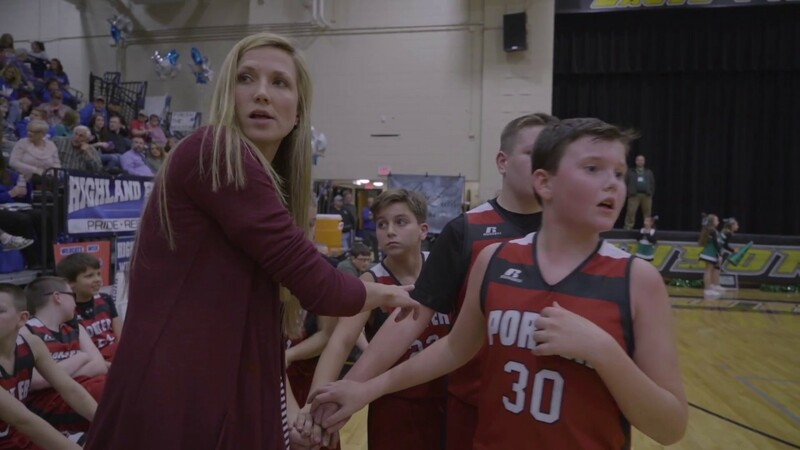 Johnson County, Kentucky, including the county seat of Paintsville, found itself struggling to keep children safe as more families faced overwhelming challenges that threatened to tear them apart. “It took these people to push me and follow me and tell me they loved me,” says Damron, a mother of three who struggled for years with substance abuse and temporarily lost custody of her girls before finding help and support through the Johnson County Community of Hope. This communitywide partnership grew in an area struggling with unemployment and substance abuse. It brings together social services, the judicial system, community volunteers, mental health services, substance abuse services, public schools, the local library and the business community, all in support of building stronger families. In just under four years, the county has seen the number of children in foster care reduced by about a third. The experiences in Johnson County and Gainesville show what is possible when all of us — business, public, nonprofit, philanthropic and community sectors — work together to create supportive communities that keep children safe and help families thrive. Their collective efforts are providing hope in their communities and beyond. While they share many of the challenges facing other U.S. communities, tribal nations also are among those working to overcome historical trauma. For centuries, ever since European explorers made contact with indigenous people in the Americas, Native American families were broken apart. Their children were sent to boarding schools where they were not allowed to speak their native languages or follow their cultural practices, and they rarely saw their families. During the 1950s and 1960s, the Indian Adoption Project removed hundreds of children from their cultural communities and placed them in non-Native foster or adoptive families, before the passage in 1978 of the Indian Child Welfare Act. The resulting historical trauma has left a lasting legacy — which today includes an epidemic of youth suicide across many tribal nations. Leaders in the Navajo Nation and the Oglala Sioux Tribe are approaching the issue head-on. The Navajo Nation responded to a cluster of youth suicides in 2015 by instituting a nationwide listening tour that included offering resources to those affected by suicide. The tour was part of the Navajo Nation’s Building Communities of Hope Initiative, aimed at raising awareness and implementing suicide prevention initiatives. The tour visited every high school across the three-state nation, despite a cultural taboo about discussing suicide. Similarly, the Oglala Sioux of Pine Ridge, South Dakota, declared a state of emergency when they experienced a cluster of youth suicides in 2014 and 2015. They see the need for more support for culturally appropriate mental health services, job creation and economic development to address the fact that, nationally, suicide is the second leading cause of death for Native American youth ages 15 to 24. As tribal nations work to overcome this threat to their young people, uphold their unique culture and apply best practices, including those outlined in the Indian Child Welfare Act, they are creating hope for many generations to come. “It creates more excitement in our community when a family makes it,” says Susan Howard, with the Kentucky Department of Community Based Services. Johnson County was awarded the inaugural Jim Casey Building Communities of Hope Award in 2017. Women in the substance abuse program at Mountain Comprehensive Care Center receive individual and group counseling as well as peer support. The program’s phases align with Family Court so participants can show their progress. The success of the Johnson County Community of Hope depends on broad participation. “There is nothing like having a community that is not giving up and still moving forward." child welfare policy changes that will provide every state with the ability to invest existing resources in the most effective strategies to safely reduce the need for foster care, strengthen families and improve the safety and success of all children. Learn more about our leadership, offices, and 2016 financial summary.